It is almost time for the August Sample Books! Continuing with New Fabrics Every Month, we have some unbelievable fabric books coming in just a few short weeks. These books feature some great price points and include some of our best fabrics ever! Check them out! 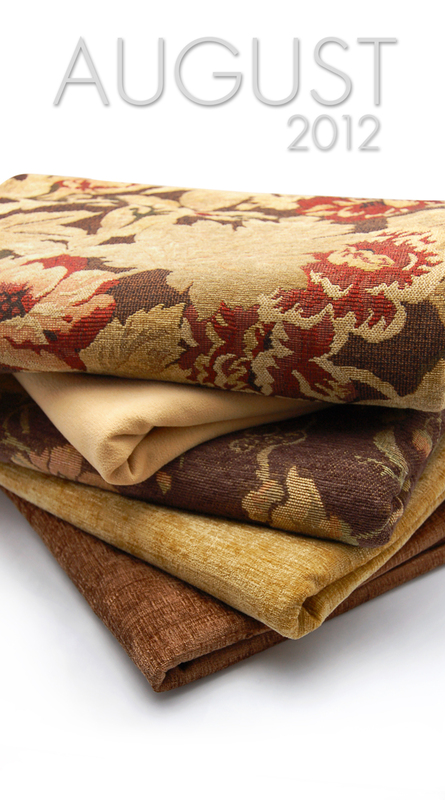 Look for velvets, textures, chenilles, tapestries and coordinates, and some beautiful solid colors coming this month! For more information on the August sample books or to see all the fabrics, visit our website and click on the August Sample Book page!